By updating their pneumatic system and the materials used to handle the blanks, Smart Pumps connected to IOLink Masters or similar communication devices, can bring smart feedback to existing press operators. Booth: #N-7515 - Anyone interested in viewing a fully autonomous mobile robotic unloading solution for randomly stacked products should stop by to see this system in action. A vision-guided system with two robotic manipulators operating on top of a mobile platform. 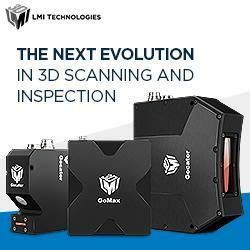 04/02/19, 08:25 AM | Industrial Robotics, Factory Automation | Automate 2019, Tradeshows and Conferences | LMI Technologies Inc.
Booth #8157 - LMI will have five demos on display covering complete 3D inline inspection, wide field of view measurement, robotic integration and snapshot sensor solutions. 04/02/19, 08:24 AM | Industrial Robotics, Factory Automation | Automate 2019, Tradeshows and Conferences | Zimmer Group US, Inc.
Booth #7963 - Zimmer Group will be exhibiting our latest developments in HRC (Human Robot Collaborative) grippers designed for most collaborative robots. Marty and his robotic kind roam the stores unassisted, using embedded cameras to navigate and avoid customers and store displays. They are capable of spotting spills and items in the aisle and alerting customers and workers to the hazards. Booth #ProMat 2715 - To extend our presence into the modern, collaborative work environments we have newly released EOATs specifically designed for the working safely among human employees. 03/28/19, 08:18 AM | Industrial Robotics, Factory Automation | Automate 2019, Tradeshows and Conferences | Dorner Mfg. Corp.
Booth #7732 - Dorner will be exhibiting our platforms aimed at automation and robotic applications. Dorner's 2200 Precision Move Pallet conveyor is designed to provide accurate positioning and routing of parts for assembly, robotic and inspection applications. The challenges around outdoor snow removal are two-fold. First, businesses and commercial sites must keep walkways and pathways clear for safety reasons and they face a labor shortage of those willing and able to do such incremental work. 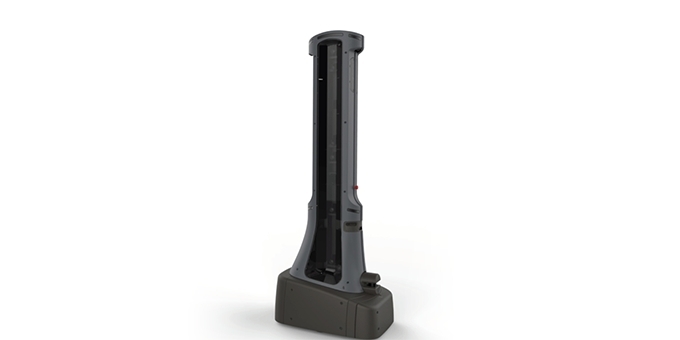 ATI's Connections Help Map the Galaxy with "WEAVE"
Booth #9530 - We will be using a cobot from Universal Robots to demonstrate safety evaluation and testing for a robot cell. We will also touch on the technical specifications for important robotics standards. 03/21/19, 09:29 AM | Industrial Robotics, Factory Automation | Automate 2019, Tradeshows and Conferences | Piab Inc.
Booth #8360 - piCOBOT®, an EOAT designed for collaborative robots (cobots) using brand new technology from Piab to handle products on a Universal cobot. 03/19/19, 08:59 AM | Unmanned & Other Topics | Automate 2019, Tradeshows and Conferences | MiR - Mobile Industrial Robots Inc.
03/19/19, 08:58 AM | Industrial Robotics, Factory Automation | Automate 2019, Tradeshows and Conferences | Elmo Motion Control INC.
Booth #7729 - the new 4 In 1 servo drive that presents a complete motion control solution in the palm of your hand (We are unveiling it in this exhibition).